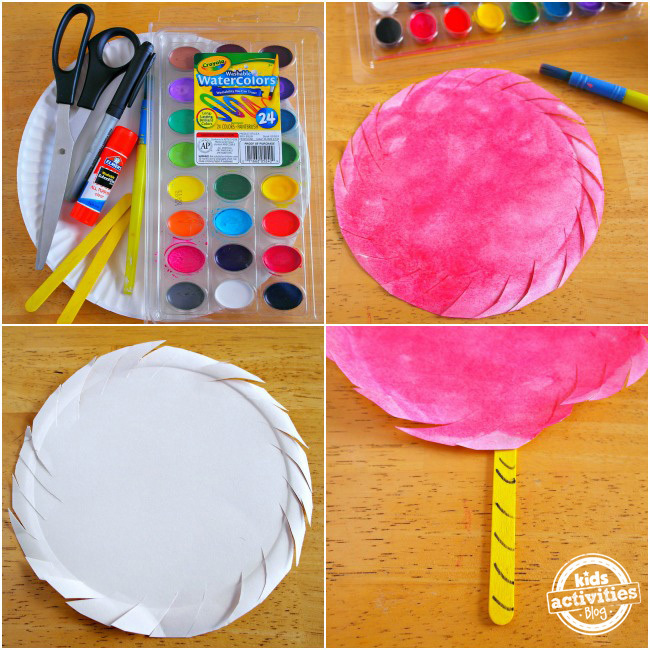 We made a Truffula Tree paper plate craft after watching The Lorax. My son loves the pretty trees in the book. 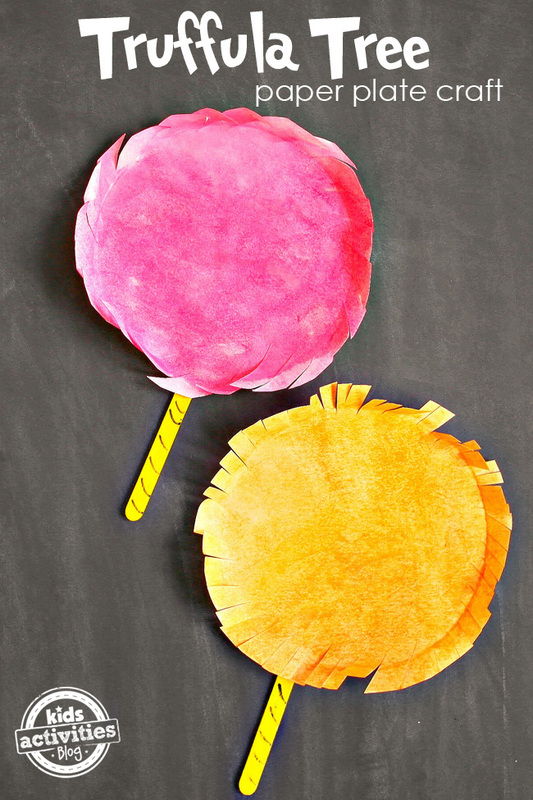 This easy craft would be perfect for a Dr. Seuss party! Cut the edge off of each paper plate so that you are left with just the middle circle. Cut around the edge of the circle at an angle. Slightly separate and fold the cuts in towards the middle. This will give the truffula trees a little bit of texture. Watercolor paint the truffula trees, by lightly dipping the brush in water then in the paint. Truffula trees are usually orange and pink, but there are other colors in the movie and we like to let the kids use their imagination! 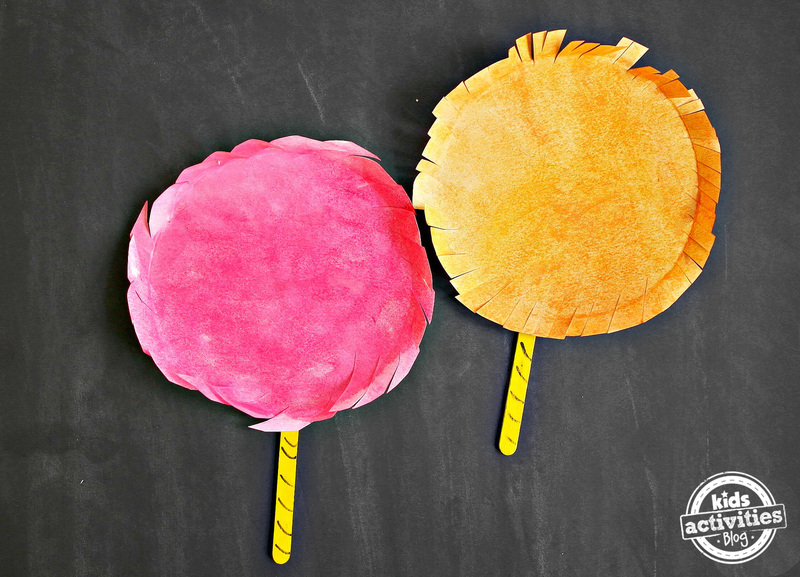 Let the watercolored truffula trees dry, glue a popsicle stick onto the back and done! These would go perfectly with some cookies shaped like The Lorax. How cute are they? !